Good strong bones are an important part of staying healthy during our lifetime. Eearly Osteoporosis detection is the main reason why many people need a bone density scan. As we reach a mature age, our bones become more brittle and can fracture or break as the bones weaken. We cannot reverse our aging process, although there are things everyone can do to live a healthier lifestyle. Thousands of people suffer from osteoporosis as they age and will suffer from fractures to their bones from a simple trip or fall. A fall could result in fracturing your spine, wrist or hip. This may cause you to spend months in hospital confined to a bed or wheelchair. Treatment and prevention of Osteoporosis is possible with early detection, and save you unnecessary pain and discomfort. Your doctor will give you a referral for the bone density scan if required. You need to book an appointment and the whole procedure will take about twenty minutes. This could mean time well spent, if it detects a bone mass problem it could save you from suffering painful fractures. Who is most at risk of Osteoporosis? There is no special preparation before a scan, they supply you with a gown and in my case, and I had to strip to my knickers. There is no need to remove jewelry. This is similar to a normal X-ray except the radiation is very minute and takes about twenty minutes. In fact, even the technician does not need protection throughout the procedure. Once you are in your gown the technician will take you for your scan. You lay on your back and the technician puts a frame under your legs. This lifts them to take the pressure of your back. The woman talked to me and there was no need to hold my breath for any length of time, which is much easier than having a normal X-ray. The difference is the beamed tomography from the X-ray moves slowly over the lower part of your body like the hips as those bones carry most of your weight. Depending on your height, weight and age the risk values then worked out and the results sent to your own doctor. This scan will show the density of your bones and will predict the risk of future fractures. Once your doctor receives the results he will decide if any treatment is required. A scan will diagnose if you have osteoporosis or if it has improved after previous treatment. Having a scan does not always mean that you have Osteoporosis; instead it could refer to a childhood illness or a bowel problem. You will need to check with the technician on the day as in Australia it may depend on the reason for having the scan. If a bone density scan is not covered by your health care, it could cost approximately $100. We should all have a balanced diet with an adequate daily intake of calcium and moderate exercise. Calcium is a very important part of staying healthy and is required in our blood to do a variety of tasks. Without enough calcium in our blood, the body takes the calcium from the bones. We can all improve our bone density with Vitamin D and calcium. 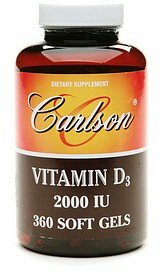 We do absorb some of our Vitamin D requirement naturally from the sun. Although we can improve this intake by eating foods like eggs and fish. You can also have any of the following: a glass of milk every day, a tub of yoghurt or fifty grams of cheese. These will all help increase your vitamin D intake. If your bones are low in density then your doctor may give you a prescription for Fosamax-plus tabs or something similar to take to improve your bones. Remember it is important to have a healthy body with healthy bones to help prevent you from Osteoporosis and many years from debilitating pain. Thanks for the great information about osteoporosis and bone density scans. Sounds like one of the easier exams. Thanks Sullysee, yes very painless. It is always the unknown that scares us most. Thanks for describing the scan process. It's important to try to avoid osteoporosis. A broken hip, or other bone in the elderly can lead to inactivity which can lead to other illnesses. divaonline, you are so right, Not only can it cause debilitating injuries but works out very expensive as well. Thanks eileen, calcium in our diet does add to healthy bones and our over all health. Very interesting article. Maintaining good health needs to be given first priority. Organic foods are best to boost optimum health. Thanks Januarius, I had not even thought about my bones except to eat healthy until my doctor requested that I had this test done. Now I am on tablets to improve this problem and of course eat more cheese, yoghurt etc.